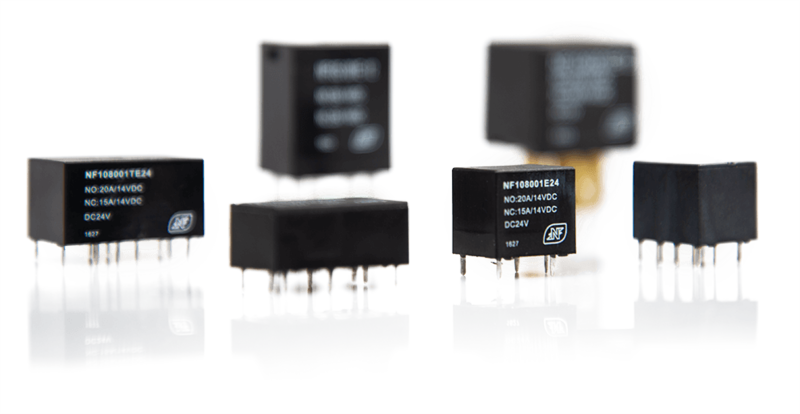 We offer a wide range of general purpose, power, signal, automotive and solid state relays, certified with approvals customary in the particular market, including relays for e-mobility and new energy applications. To find the right product, you may browse this complete list on this site, use our Cross-Reference-Search, view one of the following sub-categories or download one of the catalogs. We are focusing on providing highest product quality and reliability with regards to technical performance, logistics and pricing. NF Forward keeps on developing new relay types to enlarge the product portfolio, and heavily investing into production capacity.